I like this so much, I’m reprinting the entire thing. It contains bodysuits, a sleeping bag, outdoor gear, bathing products for the baby, as well as nappies, bedding and a small mattress. With the mattress in the bottom, the box becomes a baby’s first bed. Many children, from all social backgrounds, have their first naps within the safety of the box’s four cardboard walls. Mothers have a choice between taking the box, or a cash grant, currently set at 140 euros, but 95% opt for the box as it’s worth much more. The tradition dates back to 1938. To begin with, the scheme was only available to families on low incomes, but that changed in 1949. “Not only was it offered to all mothers-to-be but new legislation meant in order to get the grant, or maternity box, they had to visit a doctor or municipal pre-natal clinic before their fourth month of pregnancy,” says Heidi Liesivesi, who works at Kela – the Social Insurance Institution of Finland. 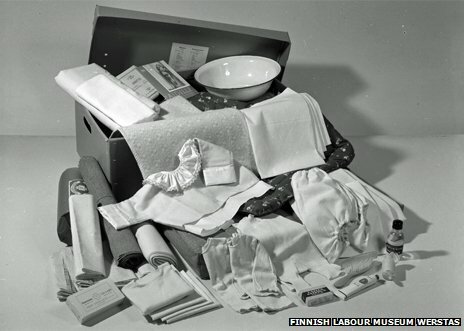 So the box provided mothers with what they needed to look after their baby, but it also helped steer pregnant women into the arms of the doctors and nurses of Finland’s nascent welfare state. In the 1930s Finland was a poor country and infant mortality was high – 65 out of 1,000 babies died. But the figures improved rapidly in the decades that followed. Mika Gissler, a professor at the National Institute for Health and Welfare in Helsinki, gives several reasons for this – the maternity box and pre-natal care for all women in the 1940s, followed in the 60s by a national health insurance system and the central hospital network. At 75 years old, the box is now an established part of the Finnish rite of passage towards motherhood, uniting generations of women. Reija Klemetti, a 49-year-old from Helsinki, remembers going to the post office to collect a box for one of her six children. Her mother-in-law, aged 78, relied heavily on the box when she had the first of her four children in the 60s. At that point she had little idea what she would need, but it was all provided. More recently, Klemetti’s daughter Solja, aged 23, shared the sense of excitement that her mother had once experienced, when she took possession of the “first substantial thing” prior to the baby itself. She now has two young children. 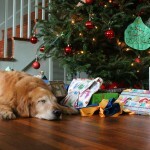 “It’s easy to know what year babies were born in, because the clothing in the box changes a little every year. It’s nice to compare and think, ‘Ah that kid was born in the same year as mine’,” says Titta Vayrynen, a 35-year-old mother with two young boys. For some families, the contents of the box would be unaffordable if they were not free of charge, though for Vayrynen, it was more a question of saving time than money. She was working long hours when pregnant with her first child, and was glad to be spared the effort of comparing prices and going out shopping. “There was a recent report saying that Finnish mums are the happiest in the world, and the box was one thing that came to my mind. 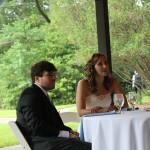 We are very well taken care of, even now when some public services have been cut down a little,” she says. When she had her second boy, Ilmari, Vayrynen opted for the cash grant instead of the box and just re-used the clothes worn by her first, Aarni. A boy can pass on clothes to a girl too, and vice versa, because the colours are deliberately gender-neutral. The contents of the box have changed a good deal over the years, reflecting changing times. During the 30s and 40s, it contained fabric because mothers were accustomed to making the baby’s clothes. But during World War II, flannel and plain-weave cotton were needed by the Defence Ministry, so some of the material was replaced by paper bed sheets and swaddling cloth. The 50s saw an increase in the number of ready-made clothes, and in the 60s and 70s these began to be made from new stretchy fabrics. In 1968 a sleeping bag appeared, and the following year disposable nappies featured for the first time. Not for long. At the turn of the century, the cloth nappies were back in and the disposable variety were out, having fallen out of favour on environmental grounds. Encouraging good parenting has been part of the maternity box policy all along. At a certain point, baby bottles and dummies were removed to promote breastfeeding. He also thinks including a picture book has had a positive effect, encouraging children to handle books, and, one day, to read. And in addition to all this, Pulma says, the box is a symbol. A symbol of the idea of equality, and of the importance of children. 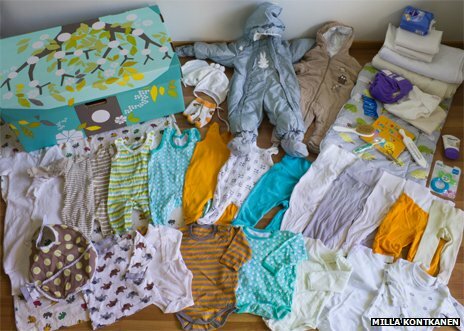 BBC News – Why Finnish babies sleep in cardboard boxes. 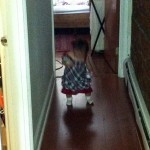 This entry was posted in On Parenting and tagged how about that by anh. Bookmark the permalink. Pingback: Fiński socjal - świadczenia rodzinne | Świat jest piękny!